Your life IS the garden of your most special dreams! We are always planting seeds through our thoughts, which manifest themselves in the reality we find surrounding us each and every day. But sometimes we forget to plant our dream seeds, and instead, get more of the same by focusing on what we think limits us from living these dreams. We create more frustration by focusing on what’s not going the way we would like it to, instead of seeing things from a broader perspective and knowing that we can choose to be happy in each moment, changing that which just isn’t working anymore. Plant your feet firmly on the Earth and take a few deep breaths to center yourself. See yourself in your perfect garden, full and lush and beautiful. Your garden is a place of safety and security, magic and delight. It may be wild, growing all sorts of trees and flowers, filled with birds and insects, bees, dragonflies and butterflies. It might have faery homes and waterfalls and fish swimming in the ponds. It might have apples and cherries and plums and pears. Or, it might be perfectly manicured, with stepping stones and perfectly placed benches in the shade of large oak and willow trees. This garden is completely yours, only you have the key. Today, you step into your garden with purpose. You are about to plant a very important seed. See the seed in your hand. It may be in a little packet with a label stating what it will grow: “Love, abundance, joy and prosperity” or something more specific. It may be a magical looking seed of light, radiating with the intention you put into it. Hold the seed in your right hand and gently blow your intention into it with as much love as you can muster. Then slowly wander through your garden, finding the perfect place to plant your seed. Know that the garden will take care of the seed with you, and that when you plant your seed, it is sure to grow. Know that it will expand far beyond your wildest dreams, and that you cannot limit it’s growth with your own expectations, but leave it up to the Universe to provide. Gently pat the dirt around your seed, and holding both hands over it, bless it. Feel the energy of the blessing come back to you. Take as much time as you need in your garden, allowing yourself to bathe in it’s calm waters, inhaling the scents of the flowers, watching the movement of the bees. Know that your dreams are safe here, and they are already starting to grow. 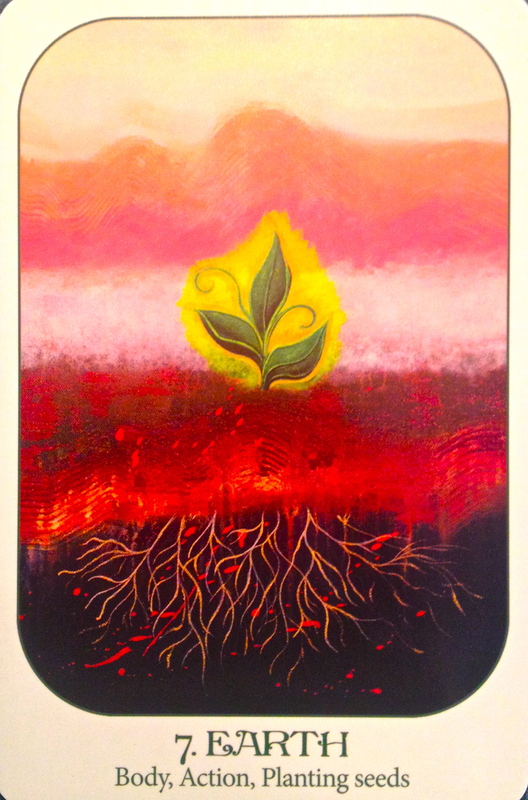 As you leave your garden, commit to taking action to make space for your dreams in your current reality by clearing out the old, including old thought patterns which have previously held you back. Know that this dream is taking on a life of it’s own. For the Highest Good of all involved, by the Grace of God.